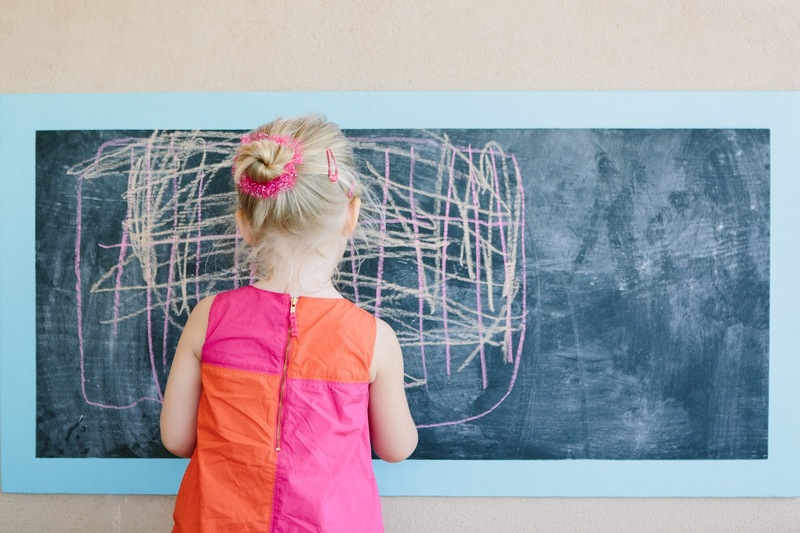 What is it about chalk that makes it so much fun? 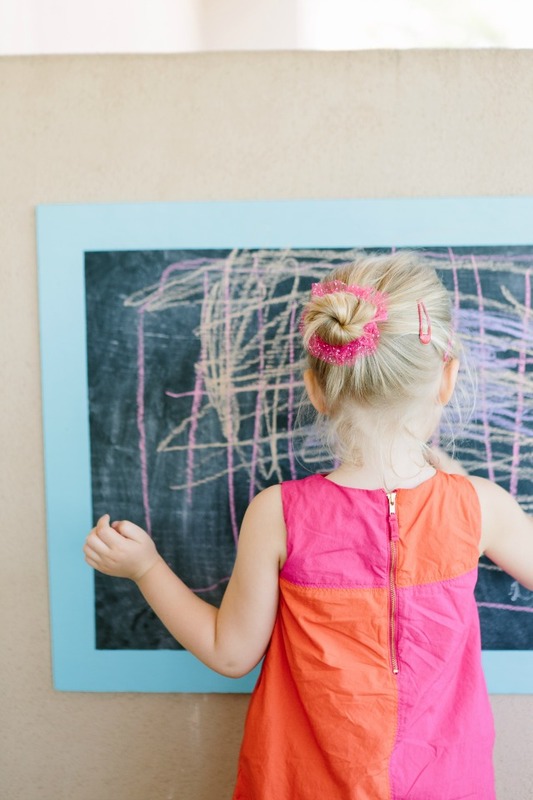 My girls love to draw with chalk, and honestly I do too! I recently made them an outdoor chalkboard from an old piece of plywood to give them an option to use chalk outside other than on the sidewalk. 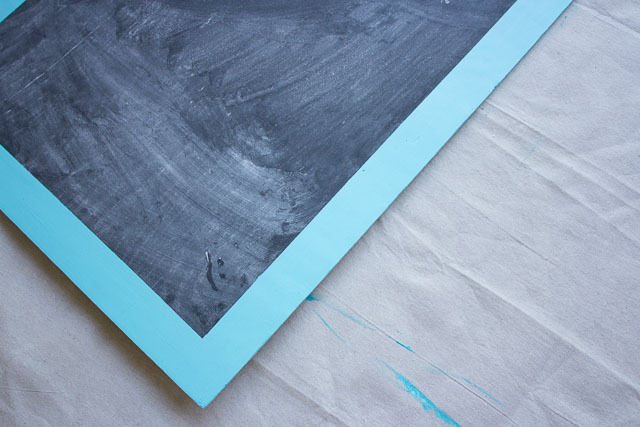 The nice part about using a colored chalkboard paint for the border (vs. a non-chalkboard paint) is that when the kids get chalk on it it will easily wipe off. 1. Lay your piece of plywood on a drop cloth. 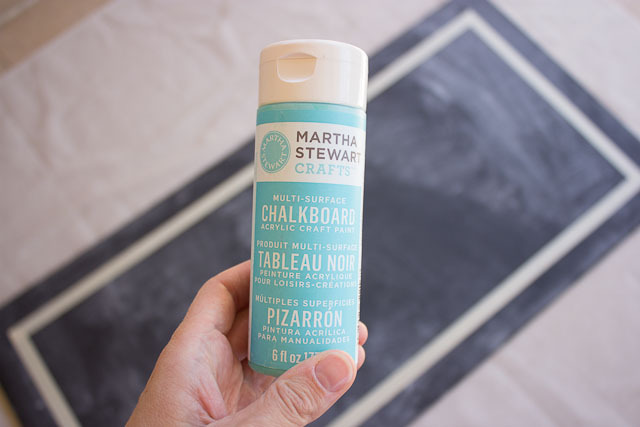 Use a paint roller to cover the plywood with 3 coats of chalkboard paint, letting dry completely between coats. 2. Mark off a border with your masking tape and a ruler. My border was 2″ wide. Use your fingernail to make sure the tape is flush with the plywood and no paint can seep underneath. 3. 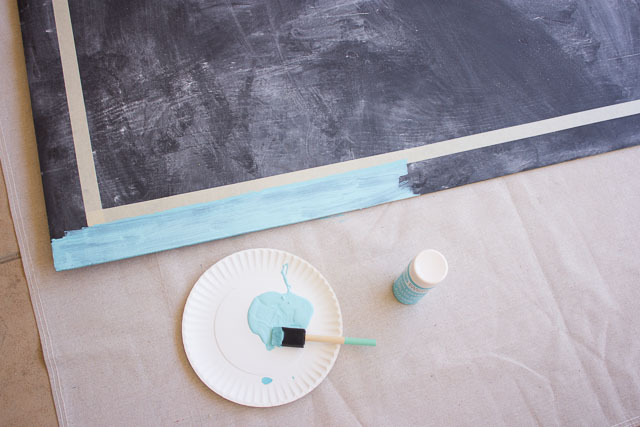 Apply the colored chalkboard paint with a foam brush. I used 3 coats of paint, letting the paint dry an hour between coats. 4. 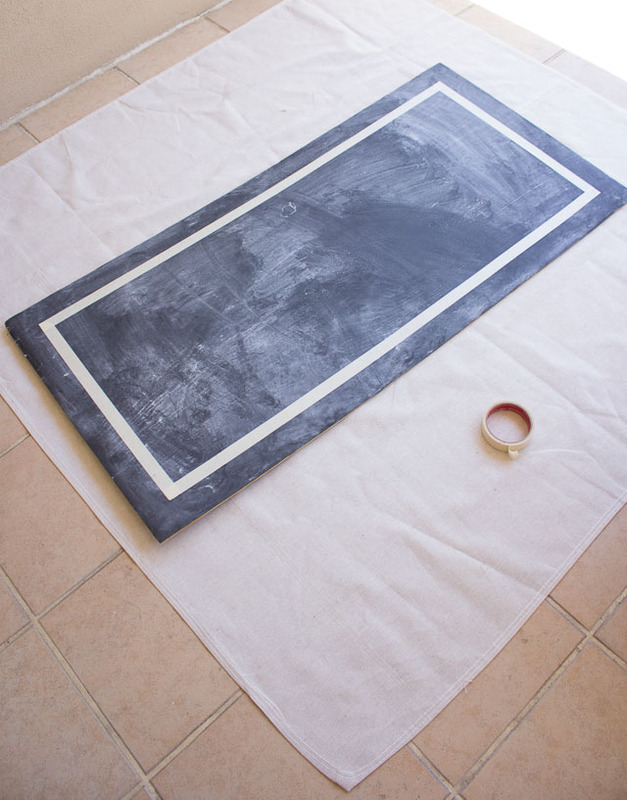 While the last coat is still wet, carefully remove the masking tape and you are left with a nice clean border! 5. 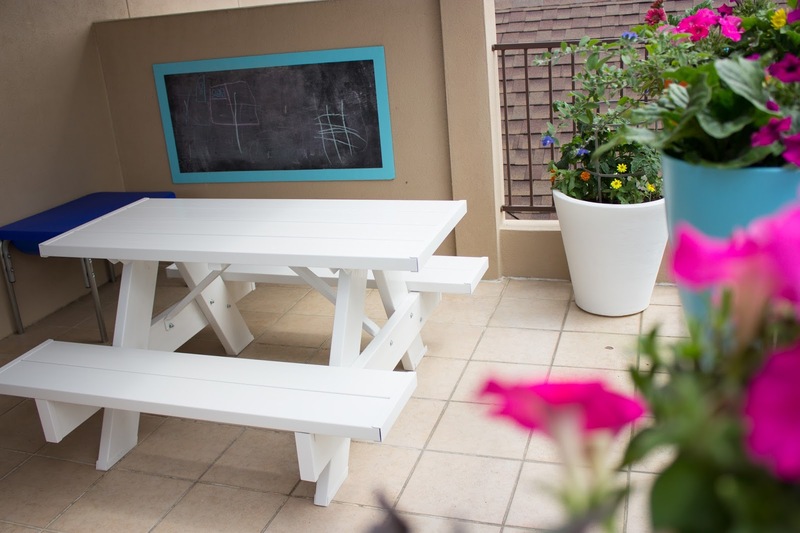 Hang your chalkboard outside – I used large 3M Command Hooks for mine. You could also nail it into the wall for a more permanent option. Here’s a sneak peek of where I put the chalkboard. I’ve been busy on my latest project with Hayneedle to turn this patio into an outdoor summer play area for my girls. You can see the rest of the space here!